Our 34 uniquely themed guestrooms offer the amenities of today with the elegance of the past, in a style reminiscent of the finest English Bed and Breakfasts. All guestrooms have private baths, air conditioning, telephones, cable television, DVD players, hairdryers and luxurious Tarocco toiletries. 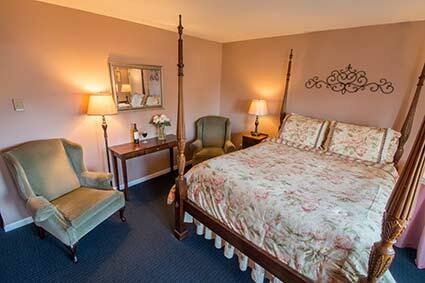 Complimentary Wi-Fi is available throughout the Inn. 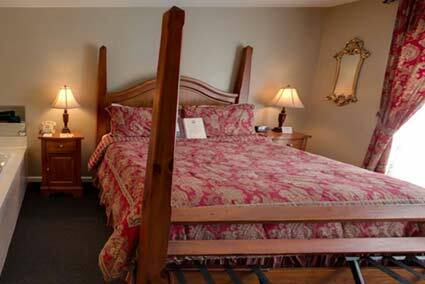 Our Oversized English Rooms feature either two queen beds or one king. All rooms on the 2nd floor have a private balcony. Our upgraded Luxury Rooms are available with either one queen bed or one king bed. These larger rooms feature a refrigerator, waffle weave bathrobes and an oversized one person whirlpool bathtub in the bathroom. 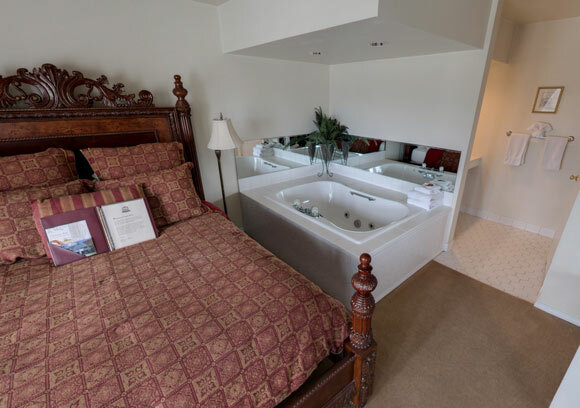 Two of our Luxury King Rooms feature an in-room whirlpool tub. 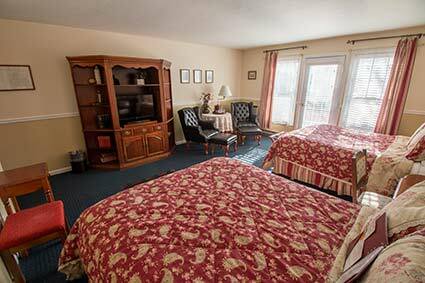 All rooms have either a balcony or patio with the exception of the Garden Room on the 1st floor. Our Deluxe Suites are our most spacious rooms. Each suite has a separate sitting area with a cozy fireplace and wet bar equipped with a refrigerator. The bedroom area has an in-room oversized one person whirlpool tub, queen bed and private balcony. These suites are perfect for that special occasion, anniversary celebration or honeymoon.